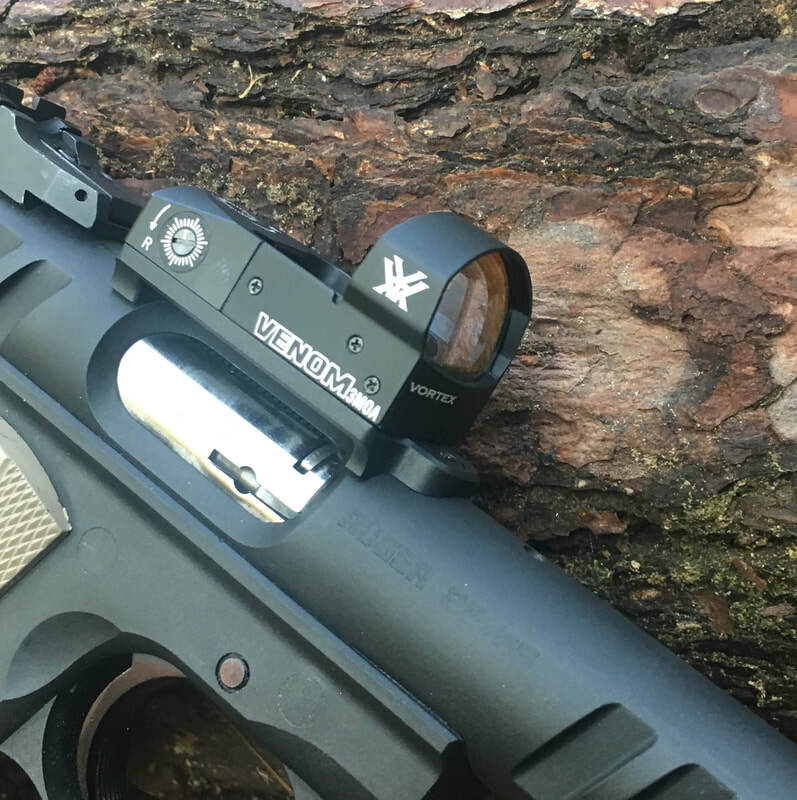 Vortex Venom® red dot 3MOA mounted on the new MaddMacs Center Base. Mount secures to your pistol in the first two scope base holes over ejection port scope. Extremely low, mounting the Venom® less than .12" high. Undercut for ejection port. Easy to install. Made from 6061 aluminum and DuraCoated in Black Oxide. Will also fit the Tactical Solutions Pac Lite™ upper. You must ask for 6-40 screws in the comment box at checkout. 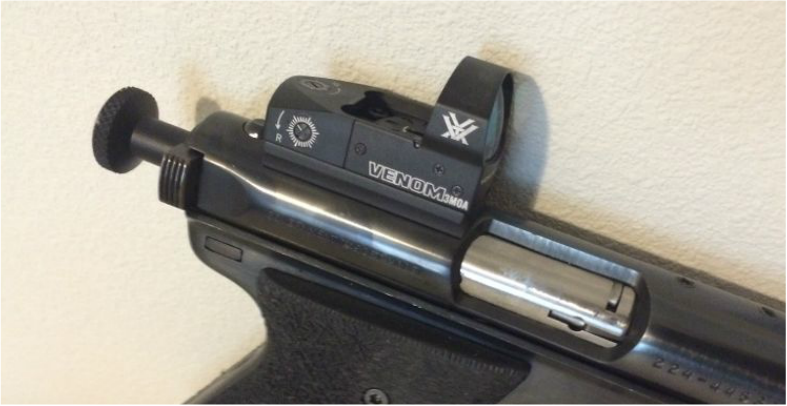 Vortex Venom red dot 3MOA mounted on MaddMacs dovetail mount. 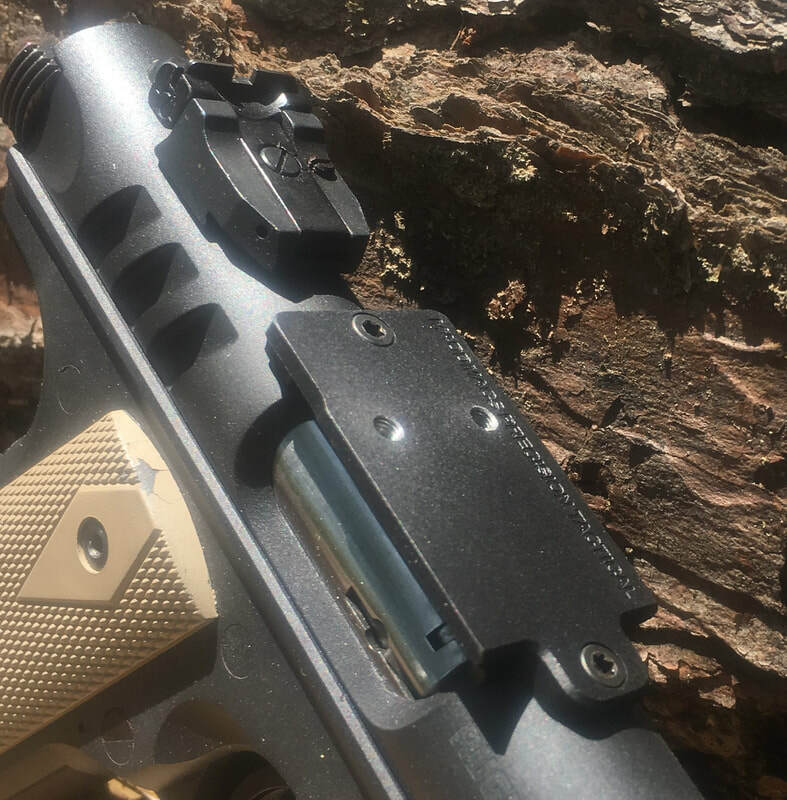 Mount secures to your pistol in the rear sight dovetail and first scope base screw hole. Extremely low, mounting the Venom® less than .12" high. Easy to install. Base is made from 6061 aluminum and DuraCoated in Black Oxide. MaddMacs exclusive design for the Burris® FastFire™ III and Vortex Venom®. Mount secures to your MK Series pistol in the first two scope base holes. Extremely low, mounting the FastFire less than .12" high. That's 3 times lower than the picatinny base and rail. Undercut for ejection port. Easy to install. Made from 6061 aluminum and DuraCoated in Black Oxide. MaddMacs exclusive design for the Vortex Venom®. 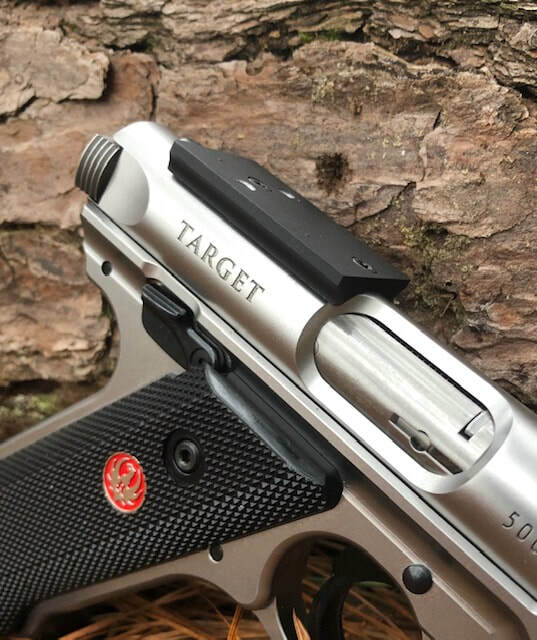 Mount secures to your pistol in the rear sight dovetail and first scope base screw hole. Extremely low, mounting the Venom less than .12" high. That's 3 times lower than the picatinny base and rail. Easy to install. Made from 6061 aluminum and DuraCoated in Black Oxide. MaddMacs exclusive design for the Vortex Viper®. Mount secures to your MK Series pistol in the first two scope base holes. Extremely low, mounting the Viper less than .12" high. That's 3 times lower than the picatinny base and rail. Undercut for ejection port. Easy to install. Made from 6061 aluminum and DuraCoated in Black Oxide. MaddMacs exclusive design for the Vortex Viper. Mount secures to your pistol in the rear sight dovetail and first scope base screw hole. Extremely low, mounting the Viper less than .12" high. That's 3 times lower than the picatinny base and rail. Easy to install. Made from 6061 aluminum and DuraCoated in Black Oxide.Fits all Ruger MKIII and MKIV Series pistols. MaddMacs exclusive design for the Vortex Razor®. Mount secures to your pistol in the rear sight dovetail and first scope base screw hole. Extremely low, mounting the Razor less than .12" high. That's 3 times lower than the picatinny base and rail. Easy to install. Made from 6061 aluminum and DuraCoated in Black Oxide. 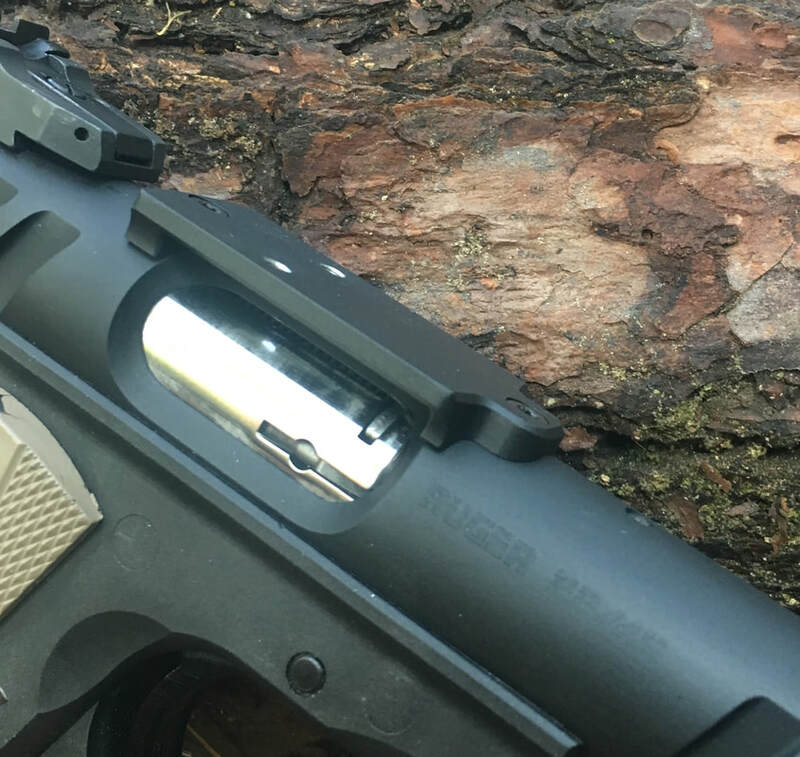 Finally, a Vortex Venom/FFIII base for the Ruger 10/22® that doesn't require a rail. 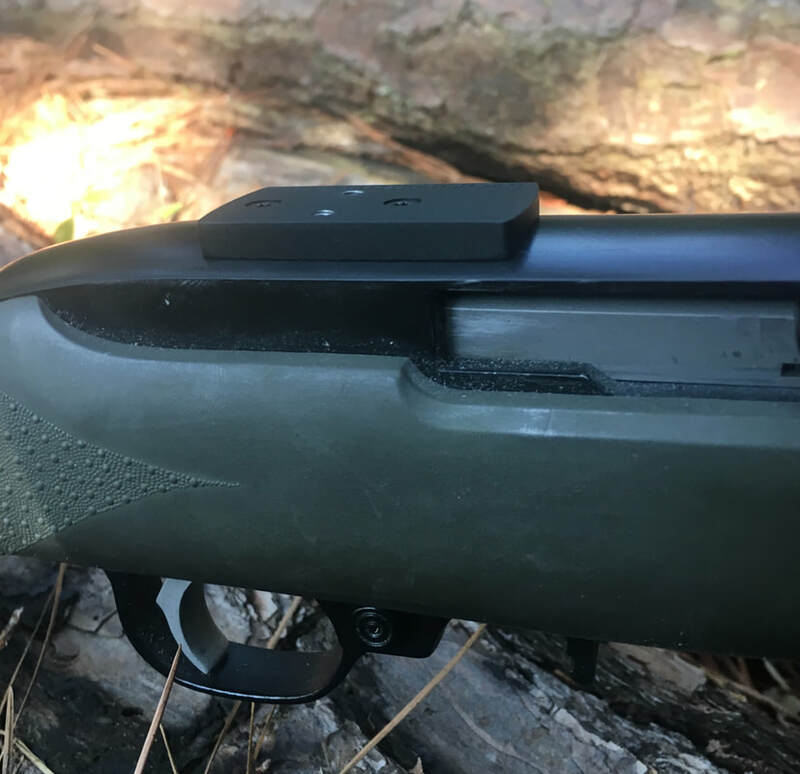 Made from 6061 aluminum and DuraCoated in Black Oxide, this base is less than 1/8" high and mounts to the first two scope base holes of your 10/22® receiver. After clicking Buy Now, you can choose where you want the base placed on your receiver. The rear two base hole selection will place the red dot closer to your eye as pictured above. 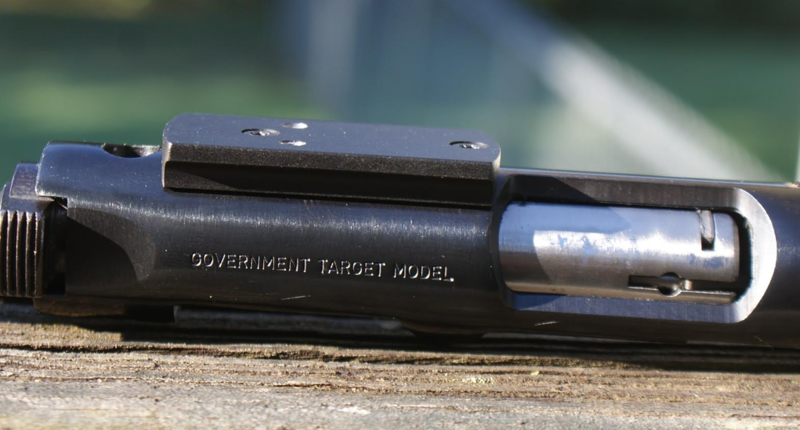 The front two base hole selection will place the red dot forward towards the muzzle.